Please use this feedback page to let us know of any access issues you may have come across in the South Loch Ness Area with which we might be able to help. You can also use it to let others know of places which you have found and would like to recommend for walking or riding. Messages will come to the webmaster who will put them up on the News and views page as long as there is nothing obviously bad in them. We will print the senders name at the bottom but no more personal info (email address, etc. ) unless specifically asked to do so by the author. 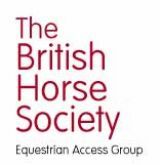 Please also use this page to let us know if you would like to be added to our mailing list as a) a walker or b) a horserider and we will send you information of coming events that we feel will be of interest to you.